Can You Be A Marketer & A University Student? He’s from the UK (like me), he’s called James Penn and he is currently a full time University Student studying* Psychology, which isn’t anything out of the ordinary for a 19 year old guy, but here’s the cool bit. He hasn’t put his marketing business on hold, he is actually running a full time business whilst studying* at University. So how does he manage to do this? Well, he tends to work in different niches to me. I’m into the marketing and hosting niches, while he’s into anti-aging and stretch marks…must resist the urge to make a joke! In these “underground” niches he specializes in creating products and building targeted opt-in mailing lists. By building these mailing lists in all the different niches, he is able to promote related products to the niches whenever he needs more drinking money….sorry – study books. As an example, he needed to do some revision for an exam that was taking place the following day, but before opening up his revision books, he spent 15 minutes writing an email promoting a membership site in the niche. Four hours later after he had finished the revision, he returned to his inbox and discovered almost $1,000 in sales – that’s one way to pay off your student loan!! 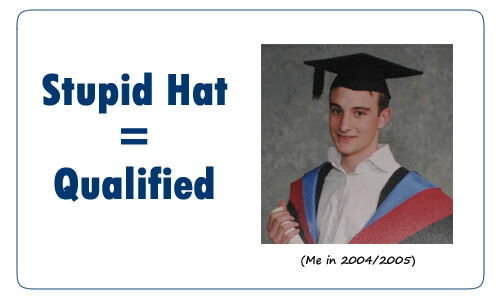 And that’s just in one niche; he is using his targeted niche mailing lists to put himself through University! The methods he uses to build these lists are what makes him stand out from the crowd, he doesn’t just rely on the tried and tested formulas for list building, he actually looks at different methods, THINKS ABOUT THEM (there’s a plan!) and then makes them better – it’s a simple idea but be honest, how many of us actually do this? Thankfully though, beer is still quite cheap at his University, so he hasn’t given it a home study course price, he’s going to show you exactly how he builds these highly targeted mailing lists for just $10. So if you are looking for different ways to build your mailing list, or if you already have a good sized list and just want to get some fresh ideas, then do check out his report, it’s a steal at just $10! Thanks for reading, and as always let me know if you have any questions.